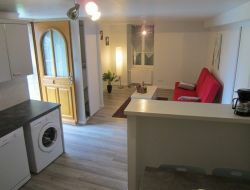 Rent in Bordeaux, between Vercors and Provence, a studio for 2 people, week and weekend: in the village center, close to all shops, services and recreation (swimming pool, tennis, hiking, ...). Independent access via stairs in a dead quiet, large private terrace, clean design studio of 25 m², garage for bikes. 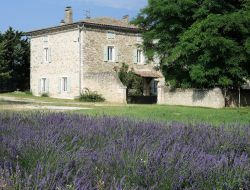 At 1h30 from Lyon or Montpellier, our holiday cottage is a former village house which we restored being able to welcome 9 persons. It is a quiet environment punctuated by the soft streaming of Leyne, that offers a view on the outside of the village in particular on the old castle, its park and, the first hillsides of the Ardèche. To spend your holidays in the Drôme, rent of an independent holiday cottage within a quiet district of Roman sur Isère, in our garden, near the aerodrome, near the Parc st Paul, the Marques Avenue and of the Fair of the Dauphiné. 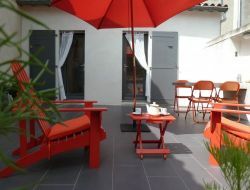 Le Pavillon is also close to the highway and to the station Valence TGV. 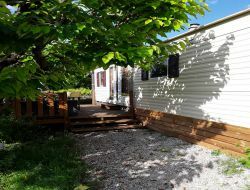 Rent of a Mobile home situated on ground closed and fitted out in the heart of cherry trees (possible picking in season) with private parking. Panoramic view on the village of Vinsobres, the Mont Ventoux and the Dentelles de Montmirail. 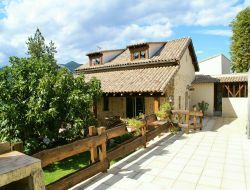 Situated near the vineyards of Hermitage and at the heart of the orchards of apricot trees, you will stay in a holiday cottage recently renewed in a former farmhouse. 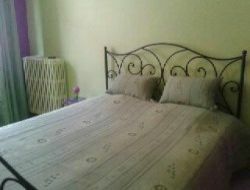 Holiday rental in 5 mn by walk from Die's city center. Ideal for walkers in mountain or motorbike rides between Diois and Vercors. In the Provençal Drôme, in 15 mn of the highway A7, 10 mn of Montélimar, in a former farm renewed in the heart of an agricultural property of 8 ha, you will spend a peacaful stay in our gite (duplex of 80m²) while taking advantage of numerous activities and visits. Charming holiday cottage near Romans sur Isere in Rhone Alps region. 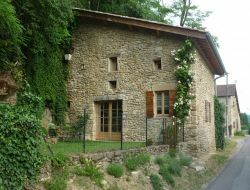 Country house at the feet of the Alps of the South, ideal for 2 persons. Sunny and quiet position with panoramic view. 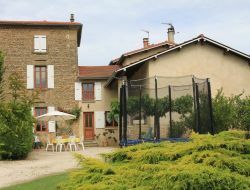 Gite close to the Lake of cornillon, completed for the amateurs of peace and nature, numerous leisure activities wait for you (hike, mountain bike, walk). Le Cocon d'Emma is an apartment pleasantly situated in the Drôme at the foot of the Monts du Vercors. Turned to the countryside this appartement is in 50m from the center of the village. The owners Michèle and Fernand will be pleased to welcome you in this apartment designed to receive either families with 2 even 3 children, or friends who want to visit our beautiful region of Vercors.